A few years ago, I made a list of counter-tactics to Saul Alinsky's Rules for Radicals because the left was almost constantly engaged in using these tactics to defeat conservatives repeatedly and often. 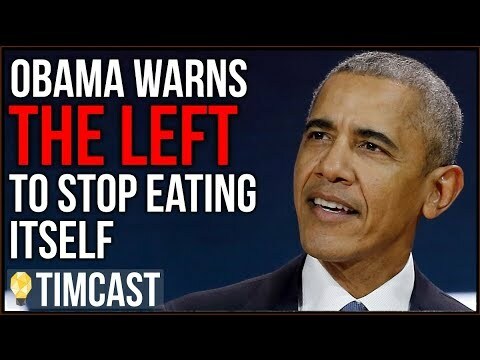 It's time to revisit those rules and counter-rules because there's a lot going on with the current IRS scandal that Alinsky's manifesto is playing a role in shaping. Pick the target, freeze it, personalize it, polarize it. Ignore attempts to shift or spread the blame. There are some interesting points in this that relate to the IRS unjust (and most certainly illegal) persecution of Tea Party and other conservative organizations, aside from the obvious ones but lets start with those. Firstly, the IRS has clearly picked the target (and perhaps it was picked for them) - conservative organizations were targeted for tax exempted status denial. But it goes deeper. Having picked the target they not only denied those organizations that status while granting liberal organizations status, they used that denial and delay to demand significant amounts of member details, and personal information. That can be viewed as intimidation and unfair treatment, and it certainly was that, but it also means that they are able to collect more information about their political opposites. They even shared some of that information about those conservative organizations with liberal ones. That is clearly political. The point is there is multiple political benefits to the big government left in these IRS actions. They stalled many of these organizations from being as effective as possible during the 2012 elections. They also collected opposition information. It's like a football team getting to see their opponents' playbook before game day. In pressing those conservative organizations, the IRS clearly personalized the attacks. They demanded personal information. And one of the most confounding impacts for these groups was how they were persecuted in isolation. While this was apparently happening to hundreds of these groups, they all were handled as if they were alone in their difficulties. More organizations are bound to come forward as they realize what was happening to them was not happening to just them. You think the targeting is bad now? And there's one other way that Alinsky tactics were used on conservatives across the country, not just these groups. These IRS issues came out the same week as the Benghazi scandal was ramping up and the Justice Department was outed for spying on the media. It's hard as conservatives to nail down a scandal, especially in the publics' mind if there are three going on at once. You can't isolate it. Conversely if you focus on one of these scandals, the other two might slide by unchallenged or unprosecuted. Why did three scandals hit the news cycle at the same time? Two of them may be a diversion for the most egregious one of the bunch. Notice that Susan Rice is being promoted National Security Advisor today? Why? She was flat out wrong on Benghazi where four Americans were killed by a terrorist attack. Was this the worst of the scandals? It was certainly fatal. So perhaps the mea culpa on the IRS scandal is entirely a diversion that the left hopes the right will get wrong on prosecuting anyway. The counter is pretty straight forward and quick. User the Alinsky tactics on the IRS. 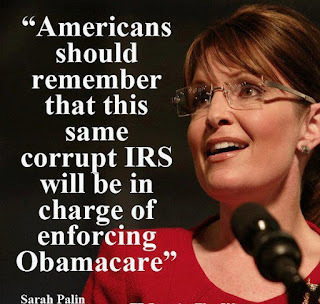 Isolate the IRS, and hammer it and keep digging and keep them back on their heels. There is more information bound to come out. This house of cards will crumble and somewhere in an effort to save their own bureaucratic jobs, someone will eventually give up where this directive came from. 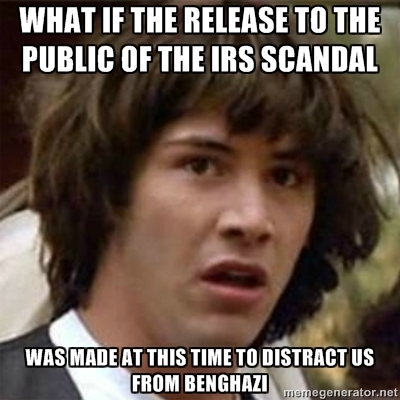 Meanwhile, as the scandal unfolds, the other two scandals can't be ignored. Digging into the Justice Department and the State Department screw ups has to continue. The only caveat is that it doesn't make sense to have the scandals compete for headlines. They should be brought forward sequentially because that will hold the public's attention about corruption, malfeasance and lack of qualified leadership for a longer time period leading up to 2014 and 2016. The side benefit of that is that it allows those investigating the other two scandals time to get their details together and to present a much stronger case before bringing the details forward. 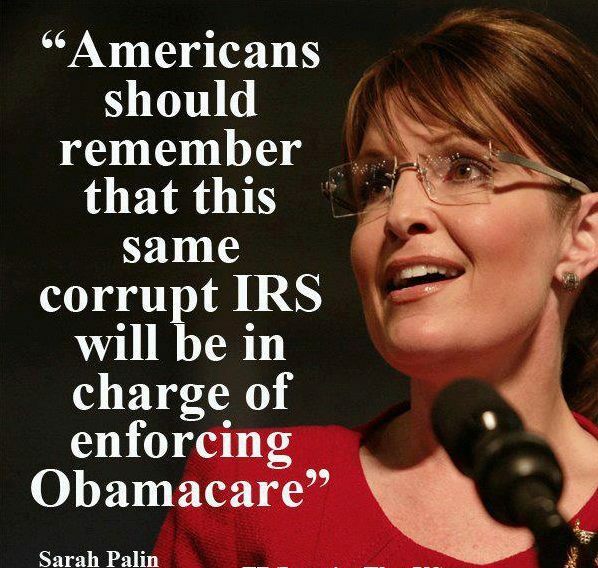 As with the IRS scandal the final point is to never let up.